Add one more issue to the mounting problems that Intuitive Surgical is facing with its da Vinci Surgical Robot. The FDA has announced that the mechanical arms on some of the da Vinci robots could stall during robotic surgery, resulting in short-term or medically reversible health problems, or even serious injury. The recall affects 1,386 Patient Side Manipulators on da Vinci S, Si and Si-e Surgical Systems. 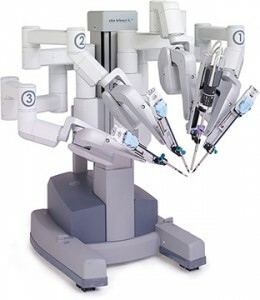 Intuitive Surgical has warned medical facilities and medical providers that the da Vinci robotic arms need to be replaced. According to at least three complaints, friction within the PSM instrument arms may interrupt the da Vinci robot arm movement, causing them to stall or become stuck. The company said surgeons using the system may feel resistance, and if they continue to push that resistance, the device could stall and then “suddenly catch-up” to the correct position. Though Intuitive Surgical claims that none of the incidents have led to da Vinci surgical complications, at least one instance resulted in an imprecise cut during robotic surgery. Intuitive Surgical says it is addressing the problems by inspecting affected robots and repairing or replacing the arms if necessary. The company said it has completed 70 percent of the inspections, and most of the devices had no problems. This product has just had a lot of complications on the path to being a game changer for surgeons. Again, and I’ve said this before, this technology has all of the potential in the world. It is the future. Fifty years from now, doctors are going to talk about the olden days when they had to do all of these things themselves and they needed to have steady hands in some of these complex procedures. Maybe the road to this new utopia was bound to have bumps. Okay. But there are just way too many bumps along the way and too many people are having to suffer while Intuitive Surgical gets its act together. It is also worth noting that putting out the best and safest product was not just a good idea for patient safety in this case. It was probably the best business play: the company stock has tanked not so much from the lawsuits but from hospitals and doctors losing confidence in the product. The da Vinci system uses robotic arms, cameras, and a remote-control console to help doctors perform surgery with tiny incisions. The surgeon utilizes hand and foot controls while sitting at a console that provides a virtually reality representation of the patient’s organs. It is used in gynecological procedures, heart surgeries, prostatectomies, urology procedures, and other operations. The da Vinci has been plagued with problems. Intuitive Surgical faces continued criticism of inadequate training. The lack of training is being blamed for a numbers patient injuries including tears, burns and even death. Da Vinci robotic surgery is not only dangerous because the doctors who use them are inadequately trained, they are also defective in the way they are designed and manufactured. Earlier this year, we told you that it was discovered that the MCS instruments may develop micro-cracks near the distal (scissor) end of the shaft following reprocessing, creating a pathway for electrosurgical energy to leak to tissue during use and potentially cause internal burns. This year some experts have questioned the use of da Vinci systems in routine hysterectomy procedures, saying the procedures are more expensive but don’t improve outcomes for patients. With a recent report indicating that the number of adverse incidents reported to the FDA involving da Vinci robots more than doubled this year, the immediate future for Intuitive Surgical seems pretty predictable. More, and more, and even more lawsuits are on their way. I think far too many of them were avoidable. If you believe that you or a loved one has been injured as the result of a robotic surgery, contact our medical malpractice and medical device lawyers toll-free at 1.800.553.8083, or online. Robotic Surgery | How safe is it?